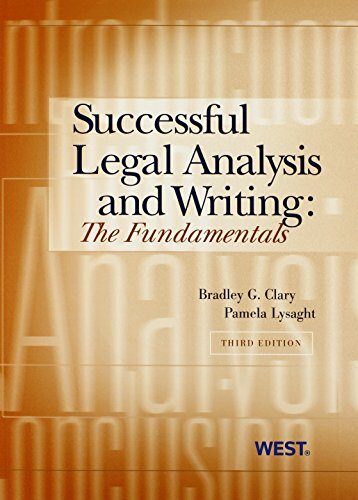 This work is a practical legal analysis and writing handbook. Designed for first-year students, it is also a valuable refresher text for more advanced students and for practitioners. The book features fundamental advice, a problem-solving perspective, illustrative examples and templates, and an easy-to-read approach. Each chapter is designed to stand on its own or be supplemented by a professor's own materials. The third edition includes additional examples and models and a chapter on oral argument.